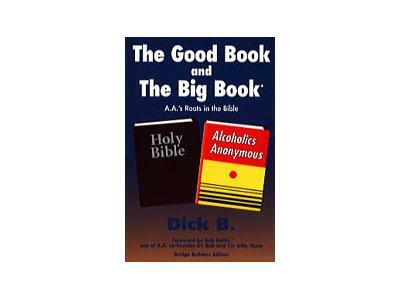 Alcoholics and drug addicts today don't need a new therapeutic program. Nor a new treatment model. Nor criticism of a valuable society that has successfully relied on the power of God for recovery for decades. The afflicted souls need teachers who will accurately inform them about what their predecessors did that was so unique and so astonishingly effective. The ingredients we will discuss today are these: (1) How the first three AAs were healed without a Big Book, 12 Steps, 12 Traditions, drunkalogs, or meetings like those today. (2) How much the Bible basics that early AAs studied daily gave them reliable information on how to pray, what to read, what God expects, and what they were to do in obedience to His will. (3) Why the grounding of old-school ideas in the successes of Christian predecessors set the stage for their unique approach of acting FOR the alcoholic instead of against liquor, of insisting on abandonment of drinking of any kind, of turning to God for deliverance, and of turning their focus then to helping others get well by the same means. This was the story of the Salvation Army, the Young Men’s Christian Association, Gospel Rescue Missions, Congregationalism, and Christian Endeavor. Beginning there, we will briefly show you from history's own pages just what the old-timers did, just what their program required, just how much the help of God was utilized, and just how important giving help to others without pay or subsidy became as the hallmark of the A.A. victory story.